It came as a surprise to Kris late in her career that she had a real love for non-profit work! It came as a surprise to Kris late in her career that she had a real love for non-profit work! She says that it's the people - trusting clients, talented staff, wonderful volunteers and donors, committed board members and creative partners who inspire her to help solve challenges for our neighbors in need. Kris started out in California with an engineering degree and MBA. She feels fortunate to have been asked to help re-imagine Orion for its fifth decade. When you connect with her, ask where in the world her kids are today, her favorite Jersey beach or about recent hiking/biking adventures. Nell has worked in programs with the elderly, pre-school children and people with disabilities. She has her BA in Psychology from Eckerd College in Florida. Nell has worked in programs with the elderly, pre-school children and children with disabilities. She has her BA in Psychology from Eckerd College in Florida. Nell returned home and joined Orion in the summer of 2017. She finds fulfillment in the relationships she builds with our neighbors in need, and the challenges of helping them navigate through difficult times. In her spare time, Nell continues to create beautiful pottery, and enjoys traveling. With a degree in Business Administration and professional experiences that include owning her own business, Erica saw an opportunity to make an impact in a different way. 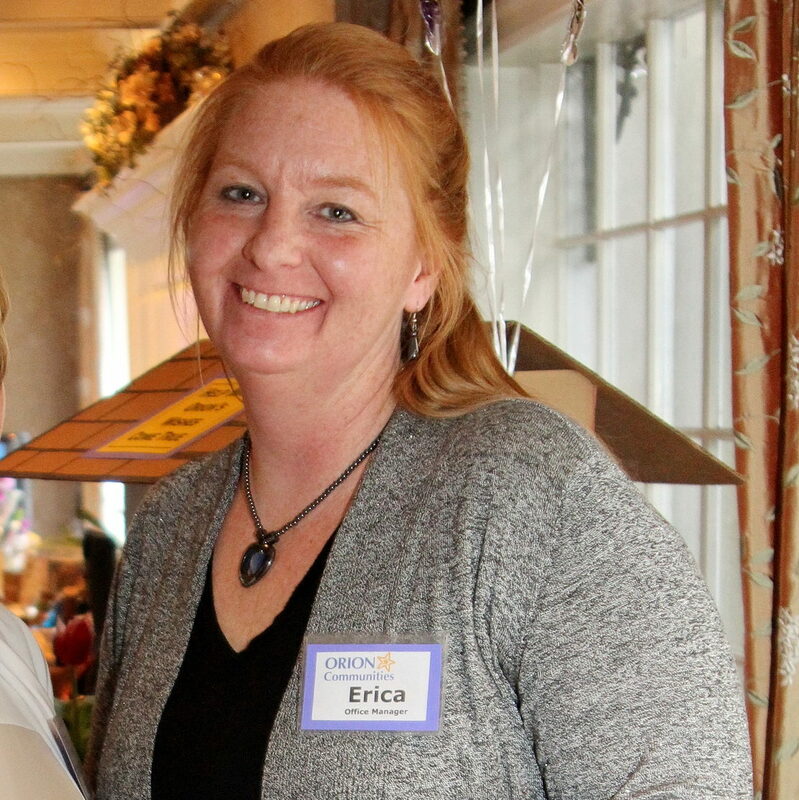 Erica joined Orion as a volunteer in 2014 before becoming Office Manager. With a degree in Business Administration and professional experiences that include managing a financial services branch, working as a Compliance Specialist, and owning her own business, Erica saw an opportunity to make an impact in a different way. 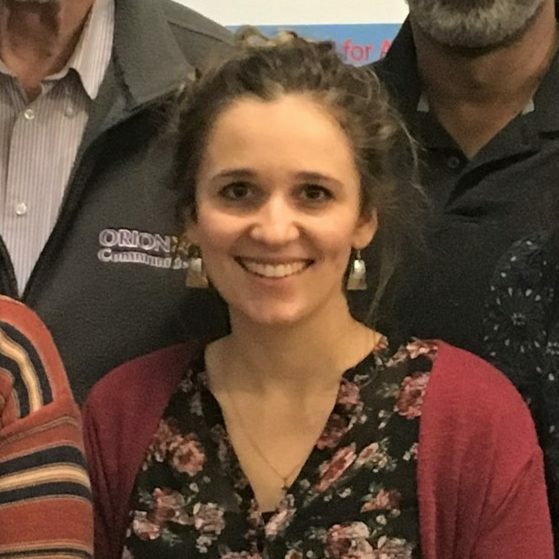 New to the world of social work and eager to understand how Orion's senior case managers helped the people who walk through the door, Erica watched and learned. It became clear very quickly that with some new procedures, policies, and by enhancing Orion's digital footprint that Orion's case managers could spread even more hope & smiles to our neighbors in need. Currently, Erica oversees office operations while wearing many different hats, from marketing to finance, and is always looking for ways to help Orion make a positive difference in the lives of the most vulnerable members of our community. After volunteering for four years, Melinda joined Orion in December 2018 as Program Coordinator for our STARS and GLAD programs. 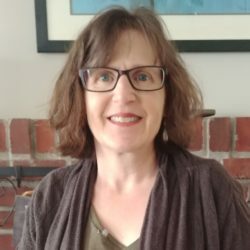 After volunteering for four years, Melinda joined Orion in December 2018 as Program Coordinator for the STARS and GLAD programs. She has a B.S. in counseling from Geneva College and has a background in children's mental health and early childhood education with an emphasis in autism. Melinda loves children's literature and guiding children in acquiring new skills and overcoming challenges. She comes to Orion with a can-do attitude and an ability to network and identify resources for the children and families in our programs. In her free time, she enjoys cooking, reading and perennial gardening. Helen came to Orion from Camphill Soltane as a volunteer to help clean our office. Helen came to Orion from Camphill Soltane as a volunteer to help clean our office. She is "a good worker" and, after several months, became an Orion employee. Helen likes to go to the YMCA to work out and she volunteers with kids at a summer sleep over camp. Thalia is an old timer residing at Camphill Soltane for the past 25 years. Thalia is an old timer residing at Camphill Soltane for the past 25 years. She got to know Orion when she was working in a local restaurant. Thalia was interested in office work and started as a volunteer. Over time, she showed increased comfort, confidence, and independence that resulted in her being hired as a part time employee. Thalia keeps busy in the office with filing, shredding, and organizing donations of food and personal care items. She has many interests but two of them are annual trips home to Greece and painting her feelings with water colors. She also likes weaving in the textile training studio on the Soltane property. Keith stumbled into the most challenging and rewarding opportunity for growth by joining Orion’s board in 2014. Keith stumbled into the most challenging and rewarding opportunity for growth by joining Orion’s board in 2014. He found a passionate organization with deep community roots that matched the community awareness that he was taught as a child. Philadelphia born and bred (thoroughly celebrated the Eagles Super Bowl victory) he has worked for over 20 years at Family Service of Chester County as a Medical Case Manager providing services to those infected/affected by HIV in Chester County. Keith graduated from Hahnemann University/Drexel University with a B.A. in Psychology and is a certified mediator. He is a past board member of The Philadelphia AIDS Consortium and the African American Health and Wellness Fair and currently a member of The Community Coalition, H.U.B. of Hope, and the Council on Affordable Housing. For fun and relaxation his love of music and sports are only surpassed by the joy of his family. Kathy found her calling 35 years ago in the human and social service field. She is a natural at helping individuals and families with crisis intervention and supportive counseling and is a local organizer for community outreach. Kathy earned her BS from Penn State University and her Master’s Degree from West Chester University. Kathy has been as a Medical Social Worker, for the past 17 years, at Phoenixville Hospital. Kathy has been the heart of Orion Communities; she seems to know both everyone who needs a hug and happy to befriend others in need. Kathy has been a volunteer with Orion for the past 10 years. She is the parent of three sons. Patrick has been working in the banking sector since graduating from Drexel University with a degree in Business Administration. Patrick has been working in the banking sector since graduating from Drexel University with a degree in Business Administration. He is currently the Chief Risk Officer of The Bryn Mawr Trust Company. As a 26 year banking veteran, Patrick hasheld a variety of audit, operational, and risk management leadership roles at banks and financial service businesses. Patrick understands that it is important to give back to our local communities and to support those around us who need a helping hand. He and his wife recently moved to Phoenixville and are looking forward to getting involved in their new community. When opportunity allows, Patrick and Anne love to retreat to Red Horse Lake in Canada, or down to the beach where they were married, Cape Hatteras, North Carolina. Art has worked and volunteered with non-profit organizations across the USA for over 50 years! Art has worked and volunteered with non-profit organizations across the USA for over 50 years! Art joined Orionʼs Board in December 2014, serving as Treasurer but he's equally known in the office for his sense of humor and baking snicker doodles. Art's distinct perspective as an engineer and organization leader has been essential to rebuilding Orion into the successful organization that now serves the needs of so many people. He and his wife Jean love to travel by car, especially in Olive, the family Miata. Ken has been Orion’s go to guy for many years and it is due to his generous nature and incredible variety of life experiences. Ken has been Orion’s go to guy for many years and it is due to his generous nature and incredible variety of life experiences. It culminated during his final working years as the lay executive in charge of immigration services, refugee resettlement, and domestic disaster relief for American Baptist Churches USA. But that just scratches the surface. A veteran of the United States Air Force, Ken has worked in public service that led him to be the Director of City Development for Schenectady, NY. He is also a theater enthusiast and enjoys both attending live performances as well as being on stage… a personal favorite was playing Tevye in Fiddler on the Roof. Orion has benefited greatly from Ken’s leadership, broad experiences and sense of humor in serving our mission for those in need. Kara is a faculty and administrator at Villa Maria Academy High School. She has a B.A. in English and a law degree. Kara is the Director of Service and Social Justice at Villa Maria Academy High School. She has a B.A. in English and a law degree. For six years she practiced law before transitioning to a career in education and service. She volunteers in diversity programs and lunch programs for underserved children. A friend introduced Kara to Orion and before she knew it she was on the Board and swept up in typical Orion activities such as chairing a committee and decorating the front window with her daughter and a friend. While camping may not her favorite thing, she does enjoy taking a group of high school students to explore the wilderness each summer. Janet Gervais has worked as a research scientist for local pharmaceutical companies and has planned social events for corporations. These events varied from appreciation days to organizing volunteers to help at Habitat for Humanity, Ronald McDonald House, Toys for Tots and more. 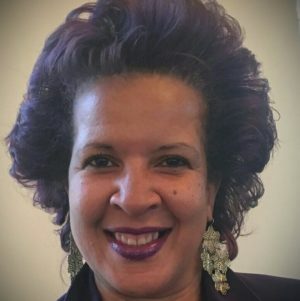 Janet also serves on the Board of Wings For Success, a non profit organization that provides apparel, advice and advocacy to deserving women in the community. 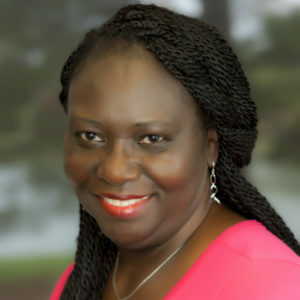 Janet attended University of Technology, Jamaica (Diploma in Medical Technology) as well as Cabrini College where she earned a BS in Biology and MS in Organizational Leadership. Glenn started his relationship with Orion back in 1991 when Orion helped him get his first job as part of a program to help people with disabilities secure employment. Glenn started his relationship with Orion back in 1991 when Orion helped him get his first job as part of a program to help people with disabilities secure employment. Glenn explains things were different back then, he didn’t start school until he was 11 years old because the schools didn’t know how to support a student in a wheelchair. Many things have changed since then. Glenn has a powered ’all terrain’ wheelchair that allows him to go participate in virtually any activity including two of his favorites - camping and attending outdoor concerts. One of his favorite trips was to scenic Jackson Hole, Wyoming. Glenn has been on Orion’s Board for over 10 years and can be found volunteering at the front desk on Thursdays and Fridays. Ellen is special counsel in the Berwyn office of Pepper Hamilton LLP. She has retired from her prior practice in the firm’s Health Sciences Department. Ellen is special counsel in the Berwyn office of Pepper Hamilton LLP. She has retired from her prior practice in the firm’s Health Sciences Department, in which she represented manufacturers and marketers of prescription and over-the-counter pharmaceuticals and medical devices in defense of complex mass torts, product liability, and consumer fraud litigation. She now works solely on pro bono matters, including the representation of immigrants seeking asylum, the Pennsylvania Society for the Prevention of Cruelty to Animals, and homeless advocacy work. She has a BA in political science, a master’s in secondary education and a law degree. Theresa Thornton is a Phoenixville native and business owner. She and her family have been active in the community since 1955. Theresa Thornton is a Phoenixville native and business owner. She and her family have been active in the community since 1955. Her business, Miss Kitty’s Care, encourages good mental and spiritual health of family caregivers. Theresa is co-founder and organizer of Black Light Projects. Additionally, she partners and volunteers with several other local community initiatives. Theresa has a BA in Political Science from Yale University. 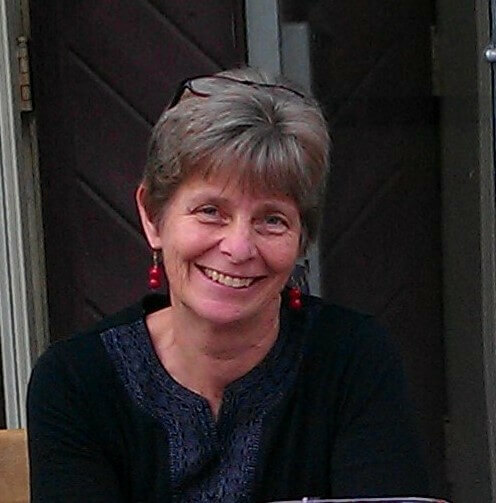 She serves on the boards of the Phoenixville Community Health Foundation, the Historical Society of the Phoenixville Area and is a Board Emeritus member of Phoenixville Area Positive Alternatives. Larry worked as an accountant for three years, and after achieving his CPA designation, began a 35-year career with a diversified manufacturing company in the areas of finance and general management. Board member Larry Way worked as an accountant for three years for a large auditing firm, and after achieving his CPA designation, Larry began a 35-year career with a diversified manufacturing company in the areas of finance and general management. For the last 13 years he has been a member of the Board of Directors of a regional bank and chairs its Audit Committee. Larry graduated from Rutgers University and Mount St. Mary's College. He teaches ESL to members of the Phoenixville Spanish-speaking community and is a regular platelet donor. Larry enjoys spending time with his family, and his hobbies include exercise, particularly swimming and hand cycling, as well as travel and reading.